Since we launched Google Wallet last month on Sprint Nexus S 4G phones, we have been noticing excitement among our first users. We thought it would be a good idea to give this opportunity to more of you, to test out the feeling of paying with a mobile phone. 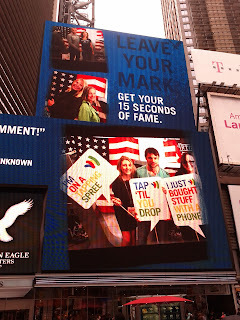 So we partnered with American Eagle Outfitters, who has become one of the first Google SingleTap merchants – meaning that you can not only pay, but also redeem offers and earn loyalty points – all with a tap of a mobile phone. For the rest of October, if you visit this store, you can borrow a phone with the Google Wallet app and go on a "tapping spree," a concept promotion that allows you to pay and redeem offers with a tap of your phone. Look for surprise offers throughout the store as you fill your shopping cart, and when it’s time to checkout, simply enable the offer you like the most and tap the phone on the terminal to pay. You’ll not only receive the discount from your selected offer, but you’ll also receive an additional $10 towards your purchase in the form of an American Eagle Outfitters gift card. We’re excited to invite you to participate in this promotion. We hope you can join us. 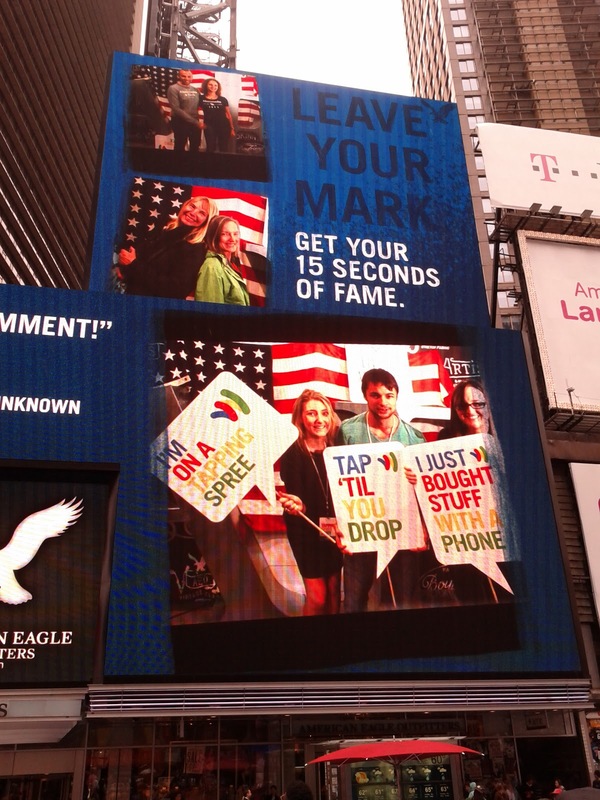 If you’re in Times Square this month, drop by the American Eagle Outfitters flagship store. 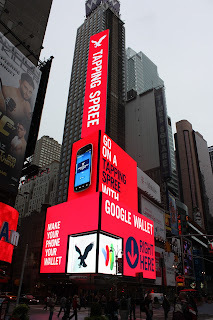 You might notice the large electronic billboard above the store that talks about a Google Wallet Tapping Spree. It will change definition of online sell. Google wallet is really good service who wants to buy or deal quickly on any offer. They don't need to wait for desktop.